I think Topps must read this site, because they just did something to enter my good graces. If you read, well watched, my last post then you would know that I opened a mailday from Topps and what was in it. I wanted to do the good deed justice so I am making a post of it. 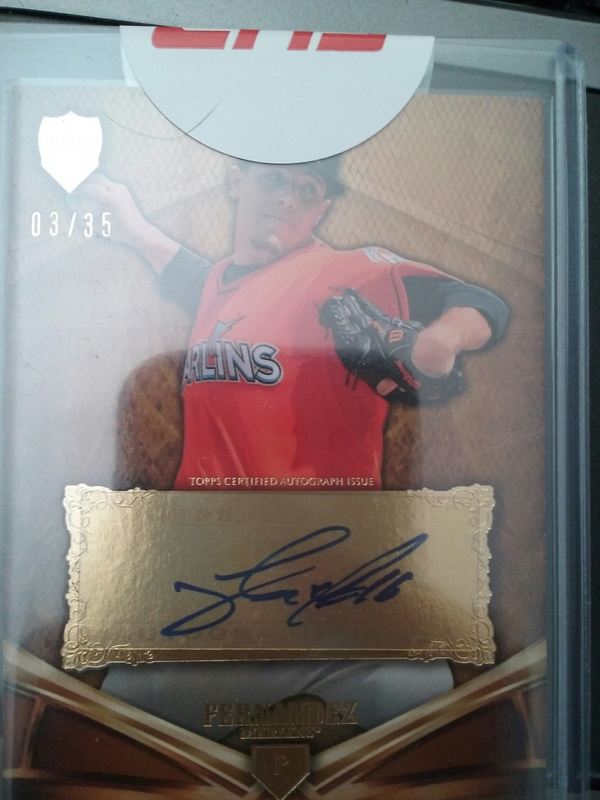 So I pulled a Jose Fernandez in a box that an ex gave me, that I opened in November. I sat on the redemption code until the very last minute and entered it a day or two before it expired at the end of November. I get a package with the card in mid January. Topps sent the letter below. Thank you for your continues interest in Topps products. Included with your redemption is an extra bonus card for you to add to your card collection. We apologize for the delay in getting this matter resolved. The bonus card is below. 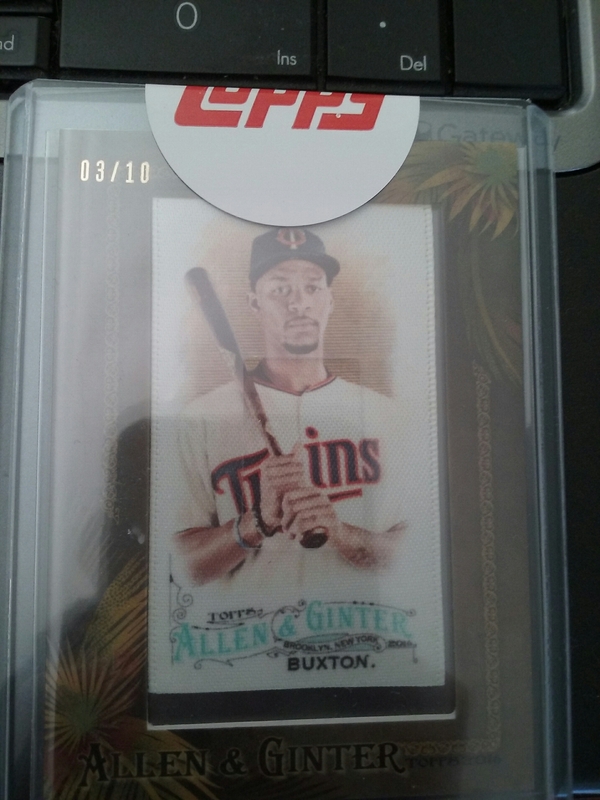 A Byron Buxton cloth card numbered to 10. It last sold on Ebay for $40. My actual redemption card last sold for $38. Did my first live video. I’ll work on my charisma for you, and make an effort to include some giveaways when I do these in the future. Don’t forget to like https://www.facebook.com/angrycardcollector/ I wouldn’t mind a few of you hitting the like button because it appears all of this site traffic comes from Twitter and Google. I was hoping to post something different but USPS had other ideas. Instead, I am posting my second purchase of 2017. Regardless, I paid less than $8 combined for the cards in this post and presumably my next post. 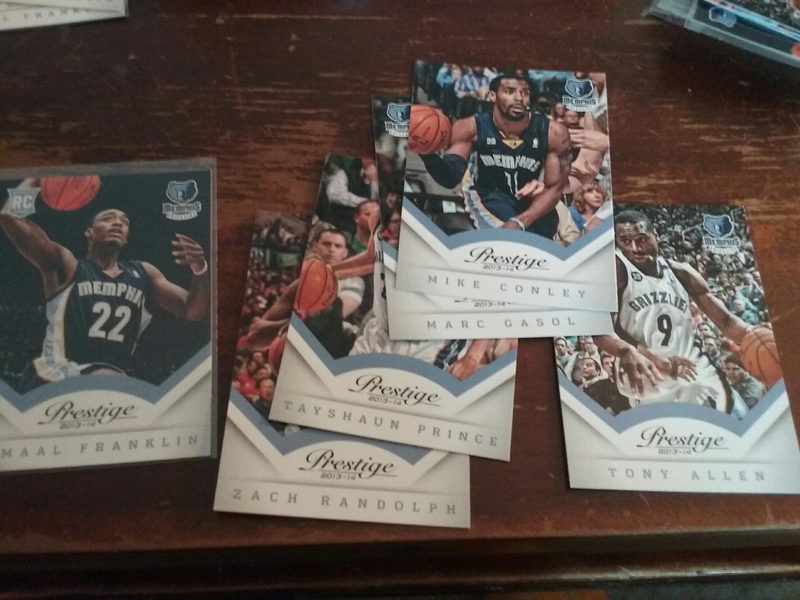 Since Blowout Cards posted 13/14 Prestige basketball boxes for sale at rock bottom prices, my main PC, I have been on the hunt for steals. These cards are from the year. I normally avoid other years like the plague, because of budgetary reasons but this one caught my interest. It had a card of a player who I think very highly of in Bradley Beal; like very highly of. 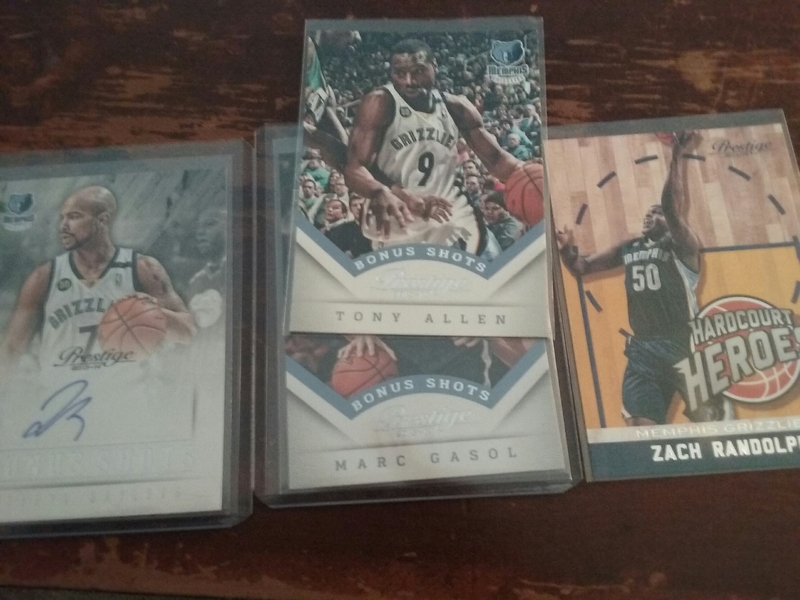 I am not sure that I would trade this pickup for a Klay Thompson autograph or other player in that tier. 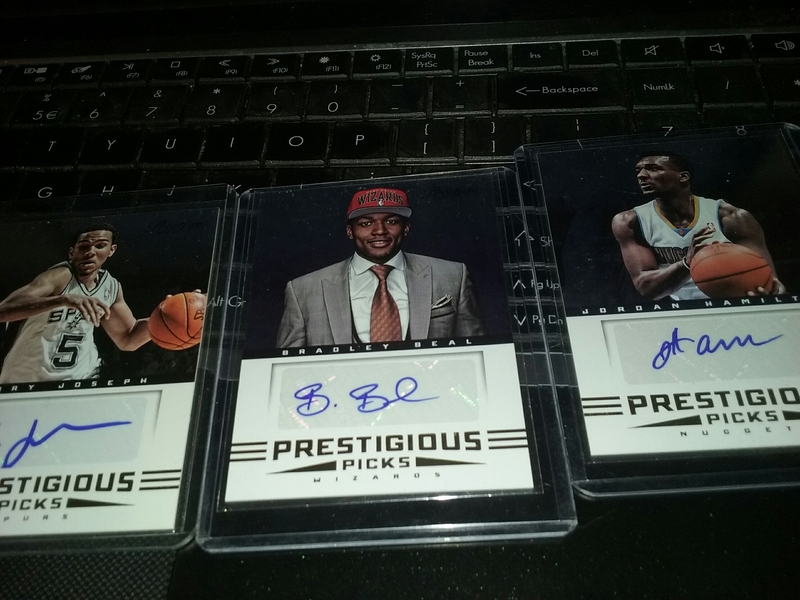 3 autographs for $3. The other two are current Raptor Cory Joseph who is a decent role player and Jordan Hamilton who is out of the league. These two were actually teammates on the 2010 Texas Longhorns.